Angelo de Augustine's Tomb feels like a collective memory. It sounds like a sharp recurring dream, a familiar lifetime of small, individual moments that build a portrait of recognition. Tomb sounds instantly familiar, too. In the same way classic records from Tom Petty, John Lennon, and Neutral Milk Hotel are familiar to us now, Tomb mines the same space as many of the singer songwriter predecessors. 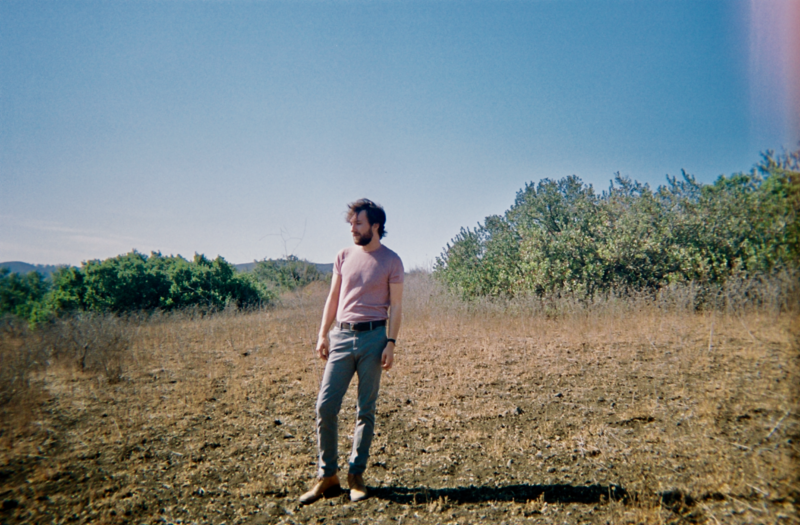 De Augustine’s songs hold explicit currents of 60s and 70s artists such as Cat Stevens and Nick Drake and his voice—metaphorically and literally—is unique and recognizable. It is the most recognizable instrument on his album, an album built around slow-burn, finger picked, double-tracked acoustic guitars, piano trills and chords, and minimal bass and drum. But it is De Augustine’s vocals that are the clearest indicator of his capability as a musician. Tomb is filled out with spot-on production from Thomas Bartlett, a musician and producer tailor-made for elevating the type of songs that De Augustine creates. I still haven’t moved on from the endearing embrace of Tomb to discover De Augustine’s previous work, but descriptors like “home recording” point to an even sparser collections of songs. I like the realm where Tomb lives: mid-fi and intimate. Tomb only needs the smallest of pushes to ascend to an even higher level and Bartlett is able to put his thumb on the scale in De Augustine’s favor with his addition of complimentary piano parts and vocals that sound close to the bone. As an honest and emotionally candid songwriter, De Augustine is extraordinarily gifted. Opener “Tomb” sets the speed and timbre for the record with De Augustine’s bold, earthy tenor climbing ever higher searching for “someone of my own kind” along the horizon, even inside “past visions of Osiris.” He doesn’t find anyone, or maybe he does in the slivers of poetry in the verses that point toward a broken heart. By the end his voice has worn you out on its journey, taken your strength and laid your logic flat. Which is fine, because there’s no room for full-tilt logic inside Tomb; it's driven primarily by emotion and catharsis. It’s inside the tempered love song lines of “Caitlin” and “You Needed Love I Needed You.” It builds and thrives into the five minutes of “Tide” and the four minutes of “Time,” songs that circle a single light in the darkness. And it ends as it begins, quietly and directly with “A Good Man’s Light” and “All Your Life.” Parts of these songs—especially “Bird Has Flown” and “Caitlin”—sound immediately identifiable as though these songs always existed in the ether but only De Augustine has the vision to make them whole. Tomb is a small record that conveys a full and powerful sound. Much like his labelmate Sufjan Stevens, De Augustine uses the album format less like a large blueprint for sketching and more as a vehicle for direct, unencumbered emotional candor. A document of childhood alongside an exploration of shattered relationships (both familial and non-familial), Tomb treads some familiar territory as Stevens’ Carrie & Lowell, right down to the family photographs on the album’s cover. But Tomb sounds like it isn’t so much about reconciling with the forces of the past as it is creating a bright-eyed present where the two can coexist. And Tomb isn’t weighed down by the same forces. It’s a much more inviting space to examine emotions because it’s well-lit, comfortable even, with plenty of breathing room between vocal lines and shimmering guitar parts to consider the words being delivered. Every verse, every turn of phrase and every tiny musical addition on Tomb is simultaneously dense and lightweight. Like the titular place of the album, the forty-seven minutes and twelve tracks create a restful space that seems frightening but also comforting. That might be the biggest appeal of Tomb; it resides in a dual space that doesn’t dwell on the burdens of a lifetime but also isn’t eager to let them go. It weighs you down while also lifting you up to start again.